Echia Club, the Grand Hotel Vesuvio’s fitness&relaxation centre, has become an essential and exclusive rendezvous for our guests. With its charming and comfortable rooms, its peaceful and magical ambiance where marble, multicolored crystal, precious wood, light, water, rock and soft lines mix and melt together. 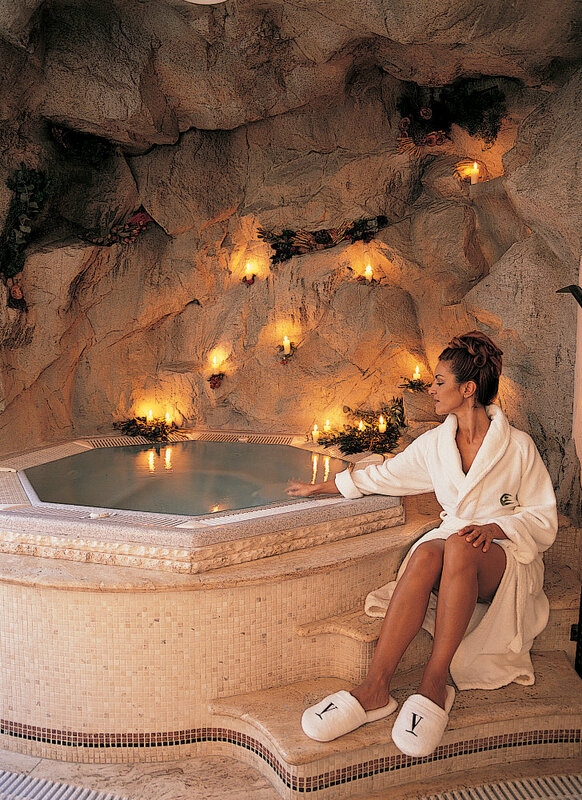 The Grand Hotel Vesuvio’s little jewel is a place designed to take care of the body and the mind. The facilities provided by the Club include: cardiofitness machines, indoorpool, Jacuzzi, sauna and steam bath. The roots of the name “Echia” remain uncertain, its origin swings between the myths of Venus and Hercules. The history of this ancient name, whether originating from “beauty” or “strength” is also the history of the hill, Monte Echia, you see rising up behind the Grand Hotel Vesuvio, thus explaining the tribute the hotel has chosen to pay these mythical slopes. It was into these waters that the mermaid Parthenope desperately threw herself, after having tried in vain to bewitch the elusive Ulysses. It was here, on these shores of the most beautiful bay in the world, that the ancient nucleus of Naples was born. It was here, at the foot of the Echia hill, that, in the IX century B.C., the Greeks founded “Parthenope”, which later become “Palepolis”, the “old town”. The Greek settlers, whose skill and experience as explorers and in the selection of new territories could not be matched, could not help but end their search here: the magic of the bay, the luxurious slopes, the fruitfulness of the sea, the sulphurous water springs of Monte Echia were too great and divine, an offering of human delights. and relaxation area equipped with sauna, steam bath and Jacuzzi. Entrance fee of € 15,00 per person, per day. Reservation mandatory.